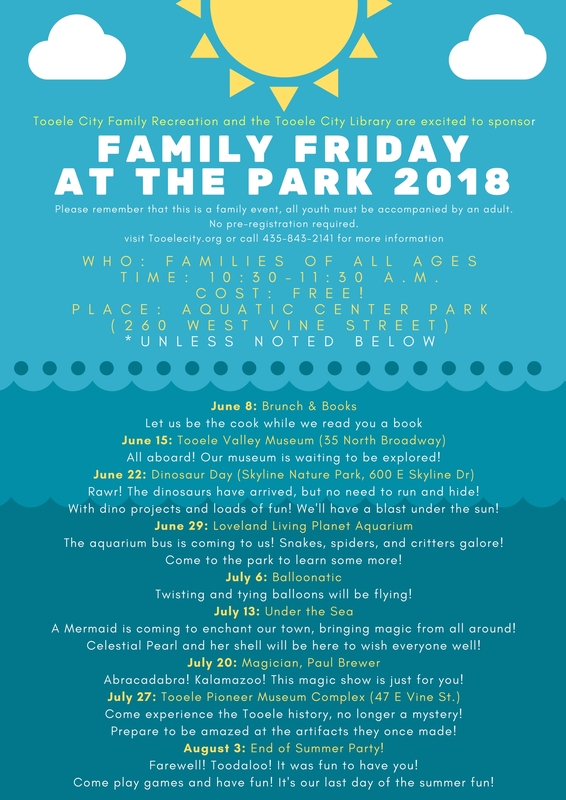 Please join us for Family Friday at the Park. There is no registration. 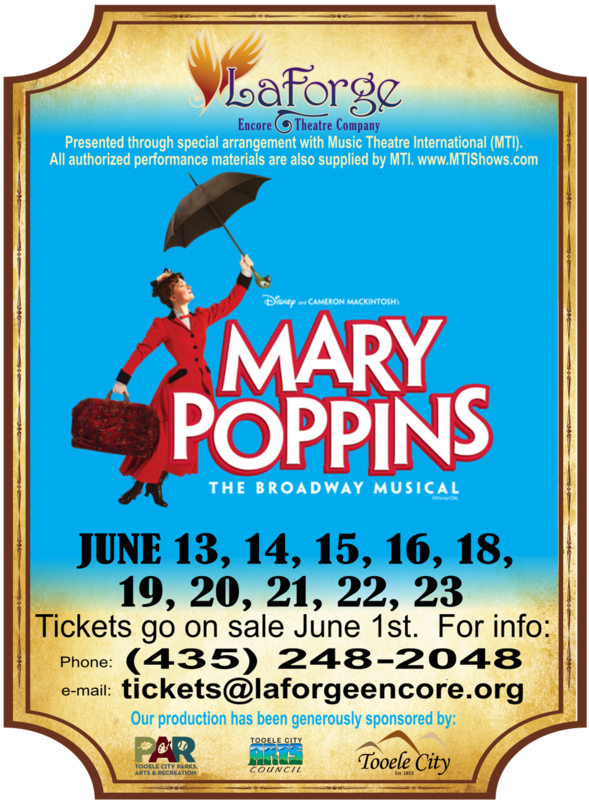 This is open to families of all ages. We hope to see you there! Ballroom Basics. After-Hours for Adults. Learn to dance like the stars! Whether you want to improve to your ballroom skills or if you’ve never danced before, this basic ballroom class is for you. We plan to cover basic steps from the waltz, cha-cha, and swing. Bring your own partner. Space is limited. Doors open at 6:25pm. Adults only 18+. 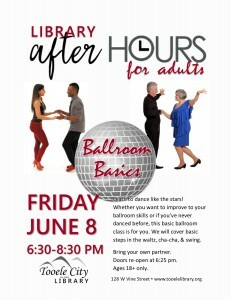 Come join the monthly after-hours event for adults! 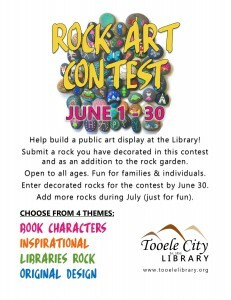 The Tooele City Arts Council invites all artists to participate in the 6th Annual Tooele Plein Air Art Contest, starting Monday, the 11th of June. “Plein Air” means “in the open air” and artists are encouraged to do just that – get out of the studio and create some beautiful artwork of Tooele County. The contest begins on Monday, June 11, 2018. All ages and experience level of artists are invited to participate. Art work will be turned in and judged on Thursday, June 14, 2018 from 12:00 – 2:00 p.m.
All art is on sale and displayed during the Tooele Arts Festival. Contact Chris Wilcox at 435-840-3838 if you need additional information. Kick off a great summer with an all-out party! This event has something for the whole family! Enter the kid’s car show. 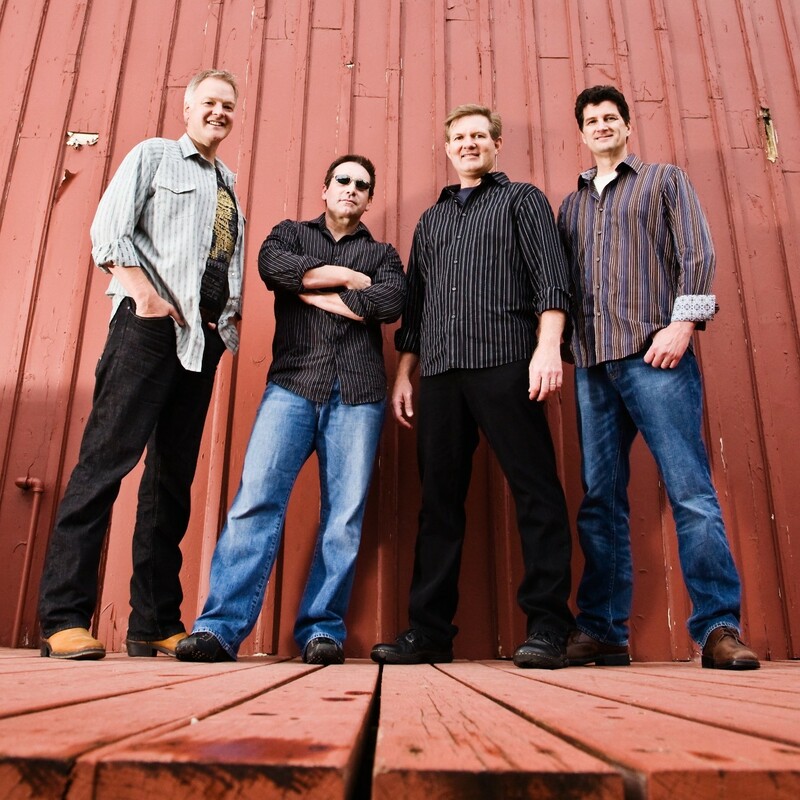 Enjoy music from every era. Visit a food truck for a yummy dinner. Have even more fun and come dressed in your favorite “music era” costume (ie. 40’s, 60’s, 80’s). 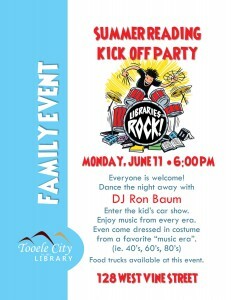 Music provided by DJ Ron Baum.